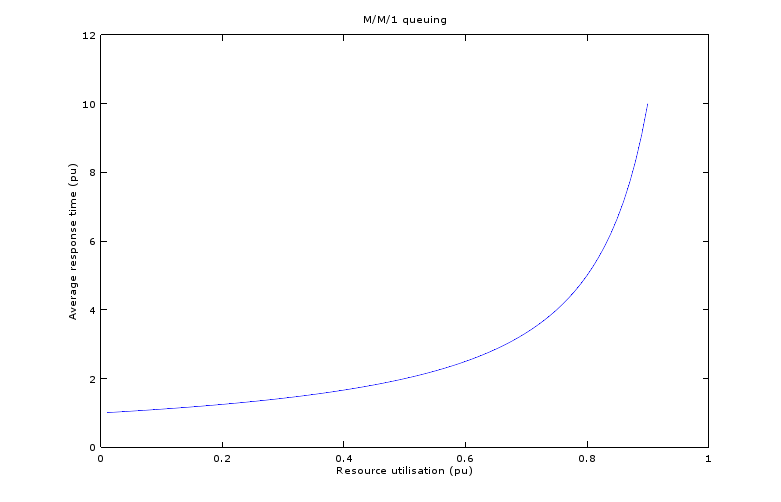 To ensure packets are not discarded, the queue need sufficient slots to hold packets even in most peak bursts. 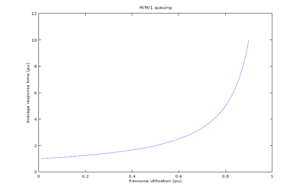 Whilst at 70% link utilisation, the average queue size is 2.3 slots (3.3-1), a larger queue size accommodates bursts better. Discarded packets can severely affect performance, not only are they likely to be resent after some delay and network overhead, they can break a higher level protocol unit in simple systems and waste the link capacity and other links used to send the rest of that protocol unit. 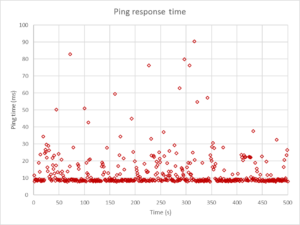 Above is a plot of the response times of 500 pings to an IP router. 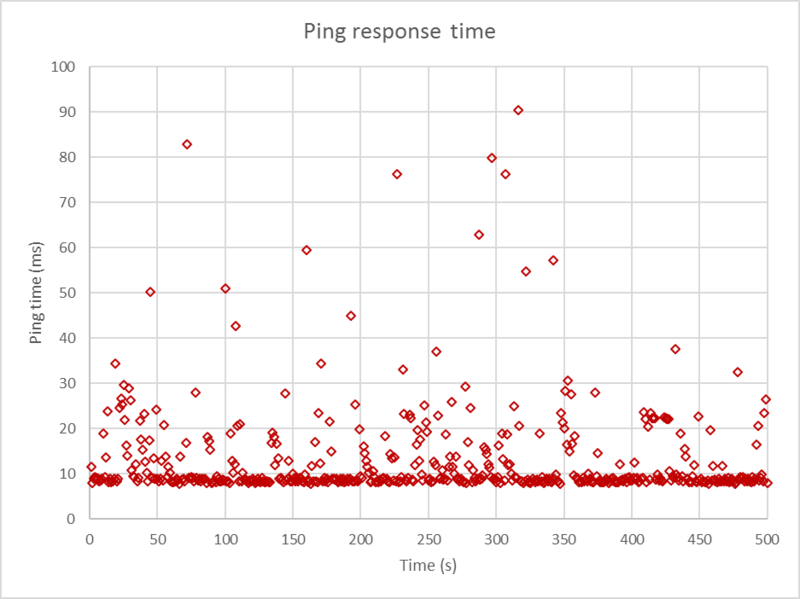 The same test to the prior router is clustered very tightly around 8ms, and a huge blowout in service time on around 20% of the pings is apparent between the two routers, almost certainly due to the connecting link running at excessive utilisation (ie, it is not big enough). There are several mechanisms by which excessive link utilisation rapidly spoils network performance. Whilst it might seem wasteful to have resource at less than 100% utilisation, it is essential to good performance. The bottom line is that shared links in such networks cannot be run above about 70% average utilisation without serious degradation in performance.